So how fuel efficient are modern passenger cars? Stuart Staniford passes along a link to the latest EPA mileage report, which both clarifies things and adds a bit to the murk. First the clarification. 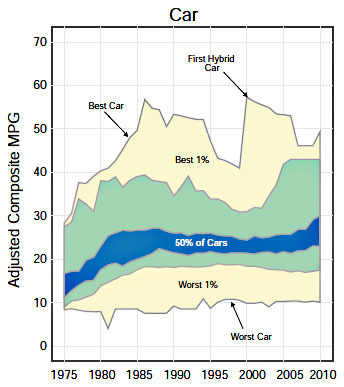 Table 1 in the report provides an “adjusted composite” figure of 25.8 mpg for model year 2010 cars. This number is production weighted, so it reflects the actual distribution of cars sold. So I’m still a little confused. Still, if you’re looking for a real-world, production weighted fleet average for gas mileage, the best current estimate is 25.8 mpg for model year 2010. Now you know.